It is natural that your thoughts will be with loved ones on the day whether they are present at your wedding or not because they are woven into your lives in countless ways. Including them can help you feel close to them on your big day. For this reason, the question of whether to invoke memories of loved ones is a very important issue for engaged couples, as is and how to do so in the ceremony and the celebration that follows. While it is considered inappropriate to include deceased parents’ names on the invitations, there are many ways to remember and honour loved ones without impairing the joyous tone of the celebration. It is, however, essential that you consider the emotional needs of everyone present because some people still feel uncomfortable with the idea and may try to talk you out of it. There are two broad approaches you can take. You can include your loved one in the ceremony in a private way that does not alert the guests. In my book 55 Loving Ways to Remember: A Definitive Guide to Including Those Who Have Passed in Your Wedding Ceremony and Celebration, I suggest numerous specific ways to do both, but broadly, a public acknowledgement can be a loving tribute – words spoken by your celebrant or a written acknowledgement in your order of service (wedding program). It can be a memorial ritual – acknowledgement of one or more loved ones as part of your unity candle, sand ceremony, or other ritual. It can be incorporated in the release of balloons, butterflies, or doves, or it can be a private symbolic remembrance. If you wish, a symbolic remembrance may be shared with guests by a mention in the ceremony or a few explanatory words included in your program (order of service). What you, individually and as a couple, feel is appropriate to include in your wedding ceremony. What you, individually and as a couple, feel is appropriate to the personality and character of the loved one you wish to memorialise. How comfortable your guests will be with the type of memorial inclusion you are considering. How recently your loved one passed. 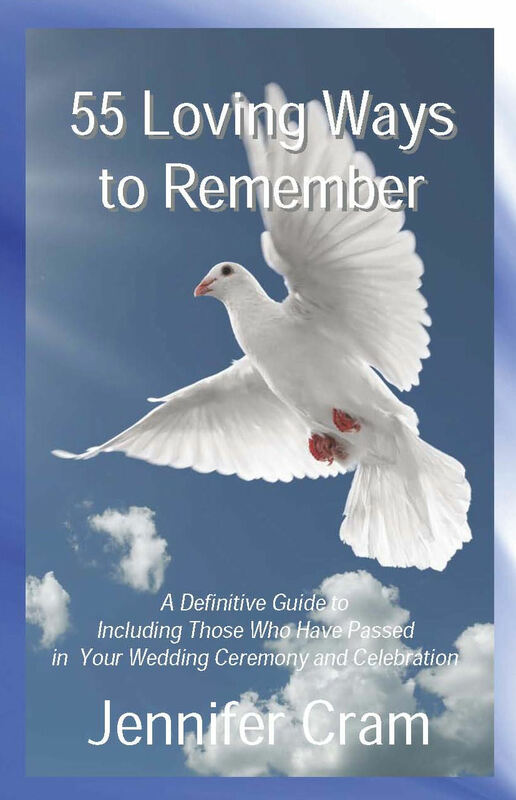 How untimely, unexpected, or tragic the circumstances of your loved one’s passing were. The more recent the loss, the more private any allusion to your loved one should be. When sufficient time has passed so that everyone concerned has come to terms with it reference your loved ones is more likely to evoke memories of them during their lifetime than focus on the circumstances of their passing. You should consult others who will be present before you decide how to acknowledge a loved one who was also important in their lives. You should also make your celebrant (officiant) aware of your intention. Remember that your celebrant (officiant) can be a valuable resource. If you have any doubt about how you or your guests will react on the day err on the side of the caution, and choose a symbolic way to remember your loved one without overt or explicit acknowledgement. At heart, you are doing this for yourselves, so how you decide to include them your wedding ceremony and celebration is a personal decision. There is no right or wrong way.